The University of Pangasinan was established in 1925 as Dagupan Institute offering elementary, secondary and vocational education. It was founded by Francisco Benitez, then Dean of the University of the Philippines; Dr. Apolinario de los Santos, then President of the University of Manila; Dr. Sylvestre Pascual; and Dr. Blas F. Rayos, then Dean of the College of Education of the University of Manila, who eventually became the President of the institute. In 1941, the school was renamed Dagupan Junior College and it offered additional courses such as Civil Engineering, Architecture, Secretarial Science, Law, Home Economics, Nursing, and Commerce after the war. The Graduate School was subsequently opened along with secondary education. In 1950, the school was renamed Dagupan Colleges. In 1954, Dagupan Colleges started offering review classes for Nursing, followed by review classes in Accounting, Civil Engineering and Law. From 1959 until 1960's, new courses were offered leading to degrees in Journalism, Food and Nutrition and Sanitary Engineering. In July 3, 1968, Dagupan Colleges received the university status through the University Charter granted by the Department of Education and became known as the University of Pangasinan. In 2009, the University of Pangasinan became a member of the PHINMA Education Network (PEN), an educational institution that aims to provide affordable quality education. Under the PHINMA management, UPang opened the PHINMA UPang College Urdaneta in Bgy. Nancayasan, Urdaneta City in 2015, to cater to students from Eastern Pangasinan. Now known as PHINMA UPang, it has consistently shown good board performances in BS Nursing (Top 9 in May 2014 and 100% passing rate; Top 5 in June 2015; Top 8 in June 2016). In 2017, PHINMA UPang has become the Philippines’ Top 4 Best Performing School in the Philippine Nursing Board Exams. Over the years, it has also consistently produced board topnotchers and achieved 100% passing rates in Education, Criminology and Civil Engineering board exams. 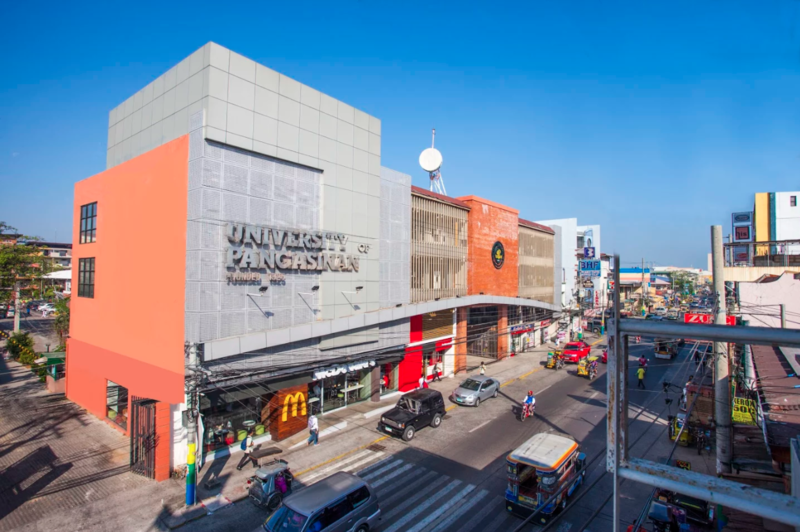 In 2016, PHINMA UPang completed the construction of the Fidel V. Ramos Library, named after the former President of the Philippines who also hails from Pangasinan. In the same year, it also hosted the presidential debate for the May 2016 Presidential Elections. PHINMA University of Pangasinan continues to enlighten the minds of many Filipinos in Northern Luzon through quality education made accessible to everyone.